Galvanised Rocker Roller Springs and accessories are 60mm wide durable tandem springs for the long haul, suitable for boat trailers. There is a choice of Dacroment or Galvanised springs; this choice is yours. Why choose galvanised springs? The rating of a Galvanised spring is calculated by depressing the spring camber after the galvanising process. Dacromet springs can be scratched, accident and rust. Galvanised springs are less prone to scratching from sticks and stones. Great article on spring choices here. Listed price for two complete sides of galvanised rocker roller springs to suit 4 wheels. Hot dip galvanising of the highest quality. Tested and rated after galvanising. Leaves positioned to equalise load and shock loading events. Boat galvanised rocker roller springs are 60mm wide, suitable for tandem axles and one of the best investments for your suspension system. How so? Well, 60mm springs twist less, are more robust, withstand shock loading events like potholes, railway lines, cattle grids and corrugations, to name a few. 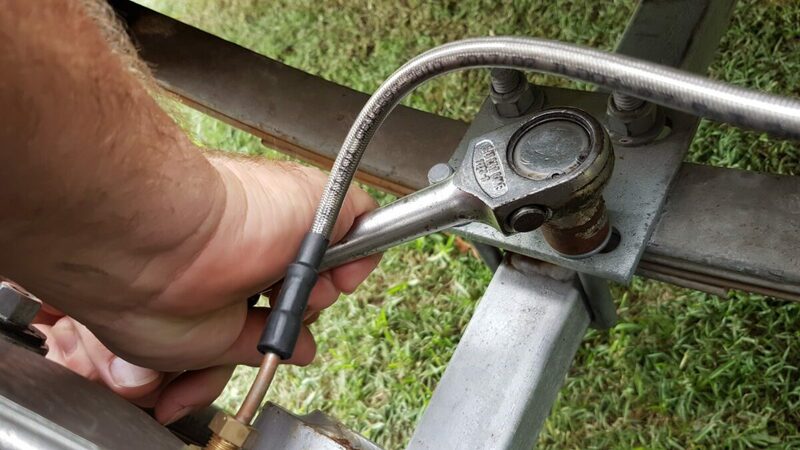 If you are considering 45mm springs and a cheaper suspension system, you will need to think whether your trailer will be susceptible to some harsh conditions or it will just be a run around town trailer. Kit includes everything you see in the photo x 2. 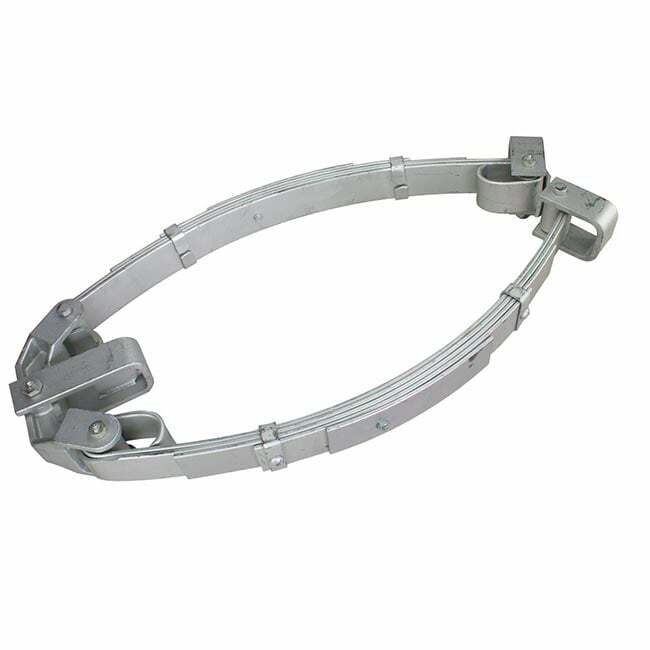 Springs and centre rocker is galvanised whereas the hangers are plain steel for welding. Tandem setup with 60mm wide springs provides a ride between Air suspension and standard rocker suspension. Robust for the long-haul, suitable for horse floats, livestock and other trailers where a softer ride is required. Heavier loads will require light truck tyres only to be used due to the higher tyre rating. The installation of U Bolts may be more science than you think. The next important step is the correct wheel alignment. Put a straight edge across the outside of the tandem wheelset. The straight edge should touch the wheels in 4 places. Tap axles until the straight edge indicate wheels are straight. Tighten nylocks but do not ben the fish plate. Important: re-tighten nylocks after 300 kilometres, You will find a min of 1/4 turn on each nylock. Why? Mild steel will stretch after the initial installation. After a re-tighten, there will be no more stretching under normal loads. Good article here on u bolts. Weld Center bracket into position and connect centre rocker and attach springs to the centre rocker. Install front and back spring hanger brackets onto the springs. Stretch front spring as far as it will go and tack onto your chassis rail. Stretch back spring as far as it will go and tack-weld onto your frame. Wrong hanger locations cause spring problems. 5 Leaf – 14", 5 Leaf – 16", 6 Leaf – 14", 6 Leaf – 16", 7 Leaf – 14", 7 Leaf – 16", 8 Leaf – 16", 9 Leaf -16"